Southern Health Services, Inc. is the parent company of Coventry Health Care and Southern Health. Coventry Health Care and Southern Health provide health insurance plans for residents of the state of Virginia. Compare health insurance rates from active providers by clicking on the toolbox now! Southern Health Services, Inc. has been in existence since 1985. The company offers insurance plans to employers of various sizes and needs. Quotes for Southern Health products can be obtained by filling out the online brochure and then submitting it via the website. Quotes can also be obtained by speaking with a broker or sales representative from Southern Health. The company’s website provides online services, which can be used to review your personal account information. For example, you can see your recent claims and laboratory bills and your prescription medication and uses. The site also provides access to a provider directory including physicians, pharmacies, and hospitals. Southern Health does not describe their HMO, PPO, or POS health plans in detail on the website. Interested employers will need to meet or speak with a sales representative or broker after the application is completed. This way the employer and Southern Health can determine the best type of coverage for the employer and employees. C3 Plans are designed to help save the employer money. 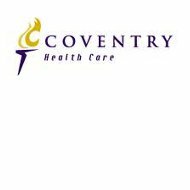 The C3 plans are Coventry Consumer Choice plans, which include flexible spending accounts, health savings accounts, and health reimbursement accounts. These accounts are designed for employees and employers to take money out of their paychecks pre-tax to be used later for medical expenses. A Southern Health sales representative or broker can explain specific details on the C3 accounts in further detail. Southern Health also participates in self and fully funded insurance products to lower the cost of insurance to the employer. These plans can also be made clarified by brokers and sales representatives of Southern Health. Under Southern Health, the plans are in contract with over 11,000 in network providers and hospitals. A list of participating providers and hospitals can be located on the website. Southern Health offers mental health coverage under its MHNet plan. The plan covers inpatient, outpatient, and substance abuse services. The plan is run like an HMO, because you have to have a referral for inpatient or outpatient services. A list of mental health providers is also available on the Southern Health website. All mental health claim forms can be downloaded from the Southern Health Insurance website. Claim forms are either for in network coverage or out of network coverage. Southern Health Insurance offers prescription drug coverage through in network pharmacies or through the mail order company, Medco. A list of participating pharmacies is located on the company’s website along with a list of covered medication. Under the prescription coverage plan, policyholders can view their recent medications, obtain and compare costs of medications. You can also read up on facts and side effects of prescription medication. Southern Health offers advice and information to encourage health and fitness to their policyholders. The website includes information on preventive care, immunization schedules, and ways to stop smoking. The site also provides guidelines for diet, nutrition, and exercise. In fact, there are gyms which offer a discount if you are a Southern Health policyholder. In addition to these topics, there is help on substance abuse and disease. This section includes details on symptoms, causes, and treatments. Southern Health has offices in Richmond, Charlottesville, and Roanoke, Virginia. Find and compare health insurance providers in your area by entering your zip code into the toolbox now!